Got your tickets for 2012 Indian Grand Prix? Hesitant in booking a cab to Greater Noida because of very high prices? Thinking about taking your own car to the grand prix? Then you need to read this. We have been to the 2011 Indian Grand Prix. And trust us when we say that taking your own car and parking it 6 kms away from the track in the free “parking” is not an experience you would want to have. The “parking” is a ground full of dirt and dust everywhere, because of the enormous amount of cars trying to “park” themselves. Its like playing holi but with dirt. Its like ten gladiators just had a fight with their respective wild animals! By the time you reach the bus pickup point for the journey to the track, you will have shitloads of dirt on your face and clothes. And the same thing would happen when you return. Infact you wont be able to recognize your car because all of them would be covered by a brown carpet by then! And if you intend to go for all three days, make the whole experience six times. Don’t believe us? Read this. If you are still not convinced, well then Robert Vadra refers to YOU when he says banana people! For others*, Book cab for formula one now. The cab will drop you near the track, and pick you up from the track again. 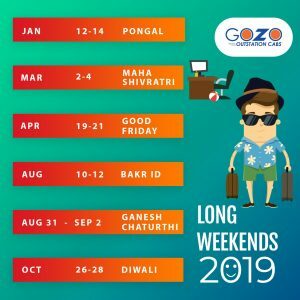 We at Gozocabs make sure that you reach your destination without burning a hole in your pockets. ‘Gozo’ means ‘Joy’ in Spanish, and we are here to delight you. Now book a One-Way cab from Chandigarh/Jaipur to Greater Noida (or anywhere in NCR), at prices never heard before. By using our One-Way services you only pay for the onward journey and not for the round trip, as normally charged by cab operators. This ensures that your travel costs are reduced by about 40%! *Mango people of Chandigarh, Jaipur only for now. Jaipur people! Still paying double the fare? Need an airport drop in Delhi? Need an office drop in Gurgaon early in the morning? Need to get back home in jaipur to your loved ones after a hectic business trip? Well now you can do all the above and much more at unbelievable prices. But for that to happen, you must stop paying double the amount for a one way taxi journey, and start using Gozocabs. Yours truly is now live on Delhi – Jaipur route. Booking a Delhi – Jaipur taxi was never so easy. We book confirmed cabs, for one way journey at prices you cant find in all of Jaipur. Pickup/Drop anywhere in Jaipur and Delhi at exactly the same prices. Our rates INCLUDE toll tax, night charges, driver charges for night and of course the fuel charges 😉 so what are you waiting for? Book now! Once we confirm a cab, we try our hardest not to cancel it! Ask Mr Karunanidhi (name changed, It was actually a sweet sounding girl’s name) who got a free upgrade to an Innova because there were not enough Indica in Delhi.